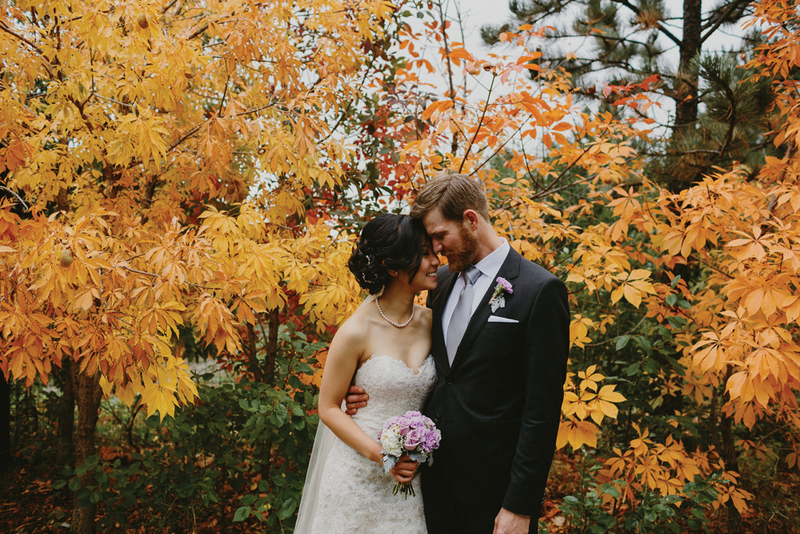 As the days get shorter and the air crisper, fall becomes a picturesque time to get married. 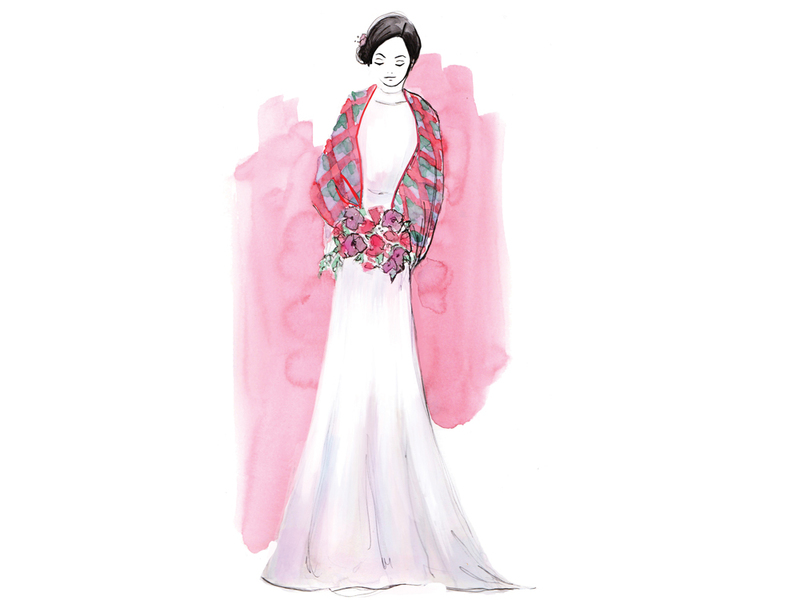 “We live in Canada and plaid is a huge thing,” says Heron, who says that brides can incorporate the season’s coziest pattern through a poncho, caplet or bomber. If plaid is not up your alley, Joyce Tai, owner of Urban Vogue Weddings & Events, suggests making a statement with a simple, elegant dress that incorporates a pop of colour in the accessories. “Bring in a jewel-tone accessory that’s not over-the-top but gives your look more of an autumn feel without overpower- ing the dress,” says Tai. 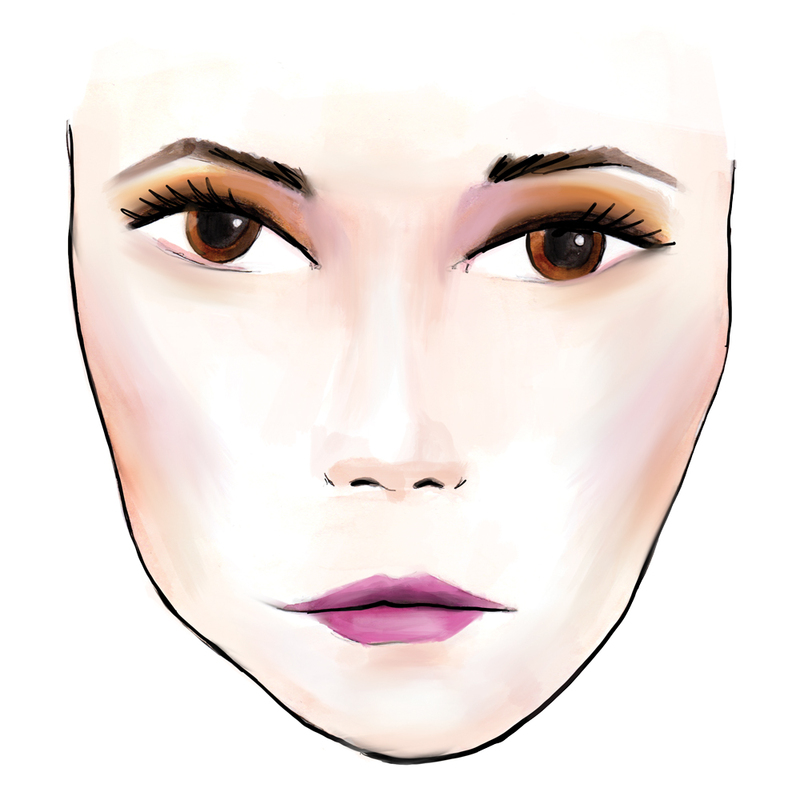 Fee: The minimum-spending fee fluctuates based on the date. Contact venue for details. Why we love it: Deane House is arguably one of Calgary’s most beautiful locations to host your union. With historic architecture, a revamped interior and a delectable menu, this intimate venue is the place where wedding dreams come true. Fee: Barn rental is $600; other fees apply. Contact venue for details. 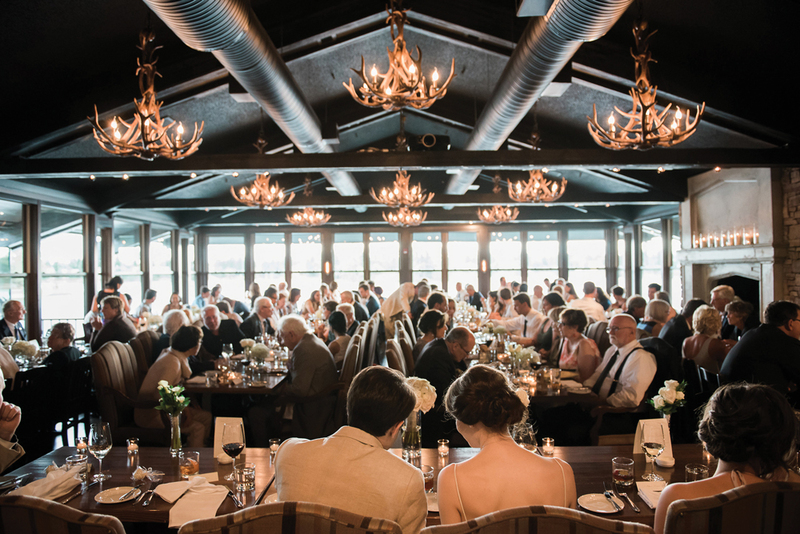 Why we love it: A charming venue, the Shawnessy Barn’s wood-panelled interior creates an inviting setting for couples to personalize the space for their special day. The outdoor scenery at Shawinigan Park creates an equally enchant- ing and complementary aesthetic. Capacity: 180 seated, 250 for cocktails. Fee: Minimum spending commitment ranges from $12,000 to $20,000 (before GST and gratuity) depending on the date. Why we love it: The view of Lake Bonavista from the floor-to-ceiling windows is a striking backdrop to the rustic yet elegant room, with elk-antler chandeliers, a grand replace and a refurbished bar originally built in the 1800s. 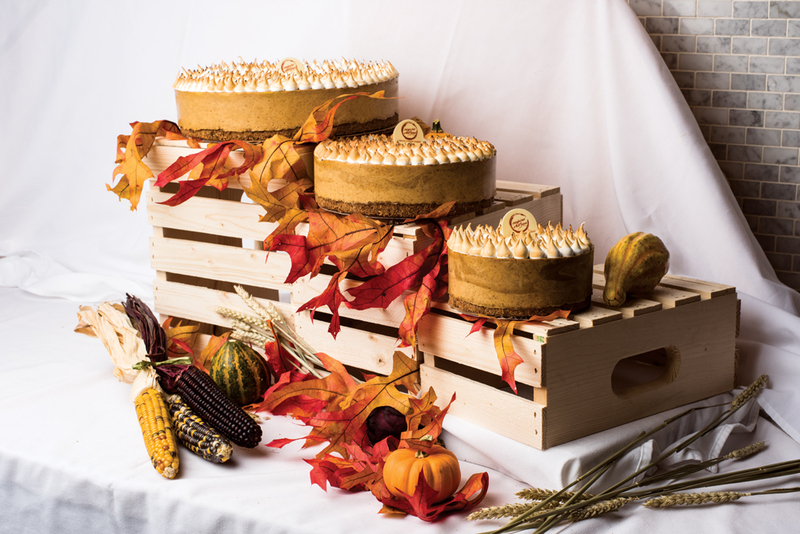 Jeffery says his company takes inspiration from seasonal vegetables to create autumn menu items, such as honey-and-chili glazed hakurei turnips. “In terms of proteins, we are very big on sourcing from local farms, so using 4K Farms and Broek Pork Acres meats and stu like that,” he says. 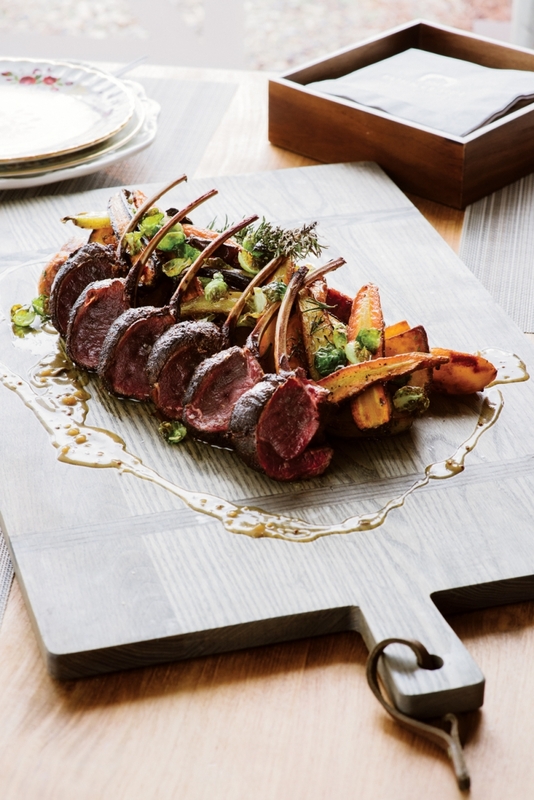 During the fall season, Je ery says popular proteins also include venison, duck – a favourite he says could be paired with a black- berry-and-ginger gastrique – or rack of elk. 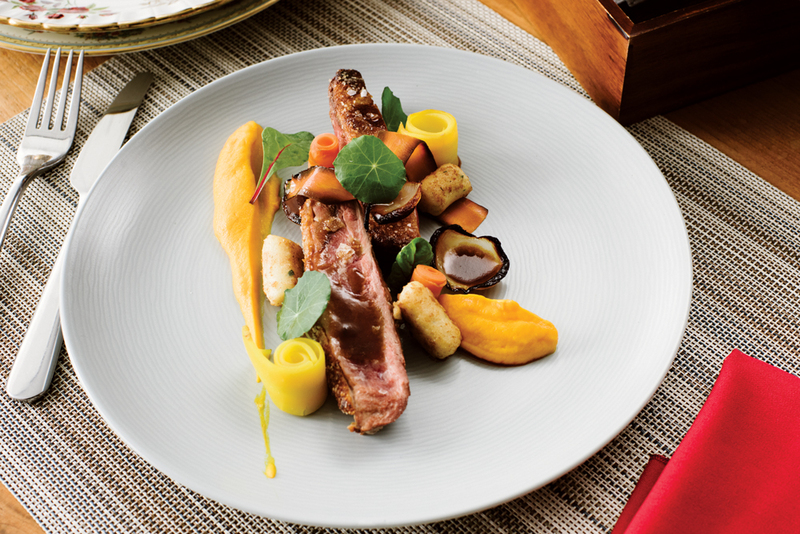 Forno roasted Alberta duck breast with Poplar Bluff Organics fermented carrot puree, charred chipolini hearts, winter herb gnocchi and fig jus. Rosemary-smoked Alberta venison rack with agria pomme salardaise, house cured bacon, hestia brussels and Poplar Bluff roasted carrot. Pickles are the ultimate garnish for one of Calgary’s favourite cocktails, the Caesar. “A Caesar with a skewer of pickled vegetables, like yellow and orange peppers, cucumbers and a pickled green bean, tastes really good and people like the presentation of it,” says Katie Mondey, owner and operator of Cheers Event Bartending. You can take this classic cocktail to the next level by garnishing it with homemade pickles. For the D.I.Y.-inclined, pickling is a great opportunity to take a break from wedding planning and spend some quality time with your partner. As a bonus, homemade pickles also make for a personal and thoughtful wedding favour. For those couples that cringe at the very idea of D.I.Y. anything, fear not. CRMR Kitchens provides a variety of house-made pickled vegetables ready for your special day. California’s Napa Valley is heaven on earth for couples that count sharing a bottle of fine wine among life’s great pleasures. One of the premier wine- producing regions in the world, the area is also a honeymooner’s paradise, with lovely boutique hotels, world-class restaurants and vineyards as far as the eye can see. To get to heaven, fly direct to San Francisco then rent a car for the northward drive to Napa – this is definitely the time to indulge that dream of cruising the California highways in a cool convertible. 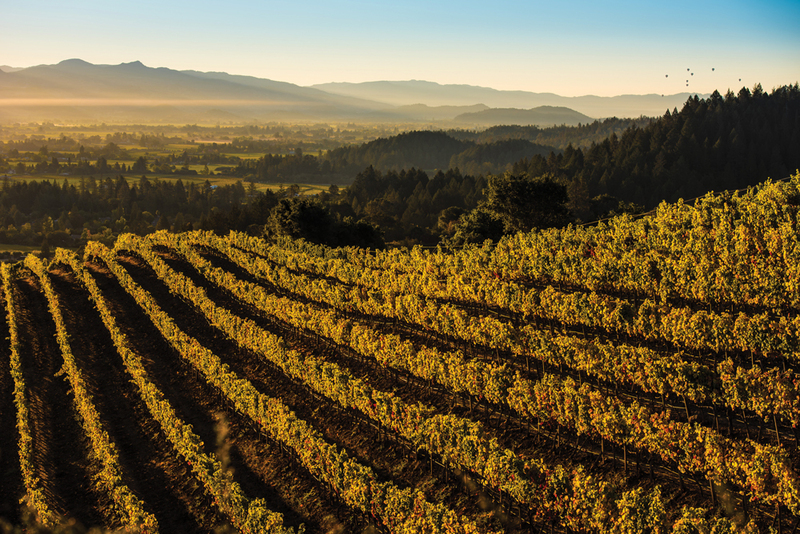 The charming town of St. Helena makes an ideal base for exploring the region. While wine touring is ubiquitous, the historic Beringer Vineyards estate in St. Helena is a must, as are the tasting rooms at Sterling Vineyards, which is high on a hilltop overlooking the nearby town of Calistoga, and accessed by an aerial tram. Truly, the wine is ne in Napa, but it’s the warm autumn California sun that’s intoxicating.